Oxygenetix is a breakthrough, breathable line of foundations and moisturisers developed to help soothe and conceal a range of skin injuries and skin conditions , including acne scars, rosacea ,acne, psoriasis, eczema, burns and post-surgery treatments. Contains Ceravitae a super-charged oxygen complex helps to multiply collagen cells and connective tissue growth in aging and wounded skin. The Full-coverage and lightweight, foundation creates a second skin effect as it blends extremely well with skin tones while also providing SPF 25 protection. Oxygenetix moisturisers protect against premature aging and diminish existing lines and wrinkles, plumping the skin and soothing irritation and inflammation. 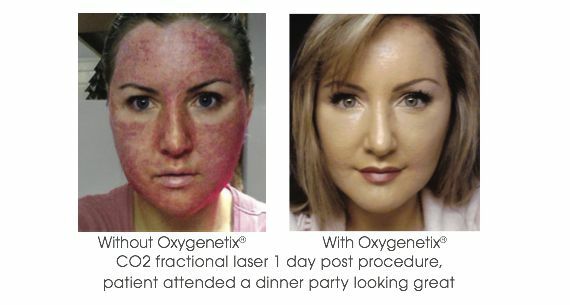 Oxygenetix products work together flawlessly, creating beautiful, hydrated, healthy skin. Taupe is ideal for medium skin tones with blue undertones. A lightweight, breathable, skin-protecting foundation. Oxygenetix Oxygenating Foundation helps conceal, minimize and heal breakouts, blemishes, rashes, acne scars, rosacea, wounds and other skin conditions using a unique, super-charged oxygen complex that stimulates skin cell production and speeds the healing process. When applied independently or over Oxygenetix moisturiser, Oxygenetix foundation acts as a virtual second-skin, allowing it to breath with no occlusive oils to interfere with the bodies natural healing process. 3) reinforce natural skin healing. 4) continuous protecting with continued use. Not only is it a foundation of choice following skincare procedures it can also be used on a daily basis for it's superior coverage and healing properties. This product is suitable for all skin types including sensitive. It is especially helpful for acne, rosacea and sensitive skin where other make-up often aggravates these conditions. It helps conceal and camaflage age spots, pigmentation, rosacea and acne scarring. 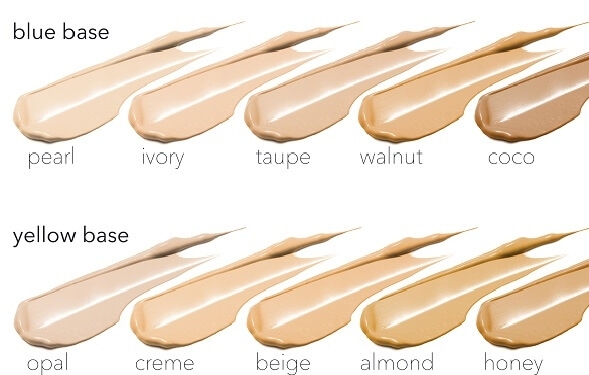 Available in 10 unique shades - Pearl, Ivory, Taupe, Walnut, Coco, Opal, Creme, Beige, Almond, Honey. Yellow base. eg: Jennifer Aniston is yellow base. Peach/pink (even salmon like) skin undertone. One who tends to have golden skin tone rather than rose tone. Blue base. eg: Angelina Jolie is blue base. Rose/pink skin undertone. One who tends to be veiny. Nail beds are more rose like rather than pink. Not sure which colour to go for? Oxygenetix Colour Match Card available. Apply evenly over cleansed skin with a clean sponge or brush. For maximum coverage, apply more as desired. Aloe Barbadensis Gel, Isododecane, Titanium Dioxide, Methicone, Polyglyceryl -4 Isostearate, Cetyl Dimethicone Copolyol, Hexyl Laurate, Cyclopentasiloxane, PEG/PPG-20/15 Dimethicone, Saccharomyces Cerevisiae Extract, PEG-8, Dioctyldodecyl Dodecanedioate, Iron Oxides, Methicone, Vitis Vinifera (Grape) Seed Extract, Glycerine, 0-Cymen-5-OL, Silica, Cyclomethicone, Disteardimonium, Hectorite, Propylene Carbonate, Maris Sal, Cyclopentasiloxane, Dimethicone/Vinyl Dimethicone Crosspolymer.